Ivo Pogorelich was born in Belgrade in 1958 as son of a musician. He received his first piano lessons at the age of seven and went to Moscow at the age of twelve to study at the Central Special Music School and then at the Tchaikowsky Conservatory. In 1976 he began intensive studies with the renowned pianist and teacher Aliza Kezeradze, with whom he was married from 1980 until her untimely death in 1996. Mme. Kezeradze was able to transmit the spirit and matter of the school of Beethoven and Liszt, originated in Vienna and than carried through to the Conservatory of St. Petersburg, flourishing towards the end of the 19th and the beginning of the 20th. Century. Ivo Pogorelich won the first prize at the Alessandro Casagrande Competition at Terni (Italy) in 1978 and the first price at the Montreal International Music Competition in 1980. In October of the same year he entered the International Chopin Competition in Warsaw where, when prevented from participating in the final contest as a soloist with the orchestra, a fierce controversy resulted in the renowned argentinian pianist Martha Argerich, a member of the jury, protesting and leaving the competition, joined by other members of the jury panel, with the words “He is a genius”. This event drew the attention of the whole musical world to the young pianist. In the recent season 2014/2015 Ivo Pogorelich has given triumphal recitals and concerts in Germany, Switzerland, France, Belgium, the Netherlands, Denmark, Great Britain, Lithuania, Croatia, Spain, Turkey, Japan as well as in China. In 2015/16, Ivo Pogorelich will appear in Warsaw, Dubrovnik, Montreux, Oxford, Cologne, Stuttgart, Munich, Paris and other European cities. 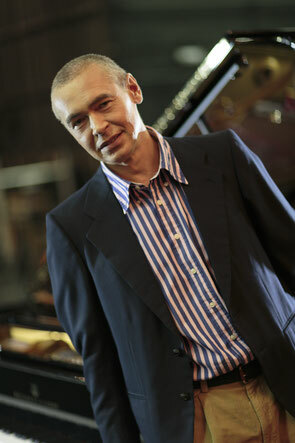 Besides his extensive concert performances, Ivo Pogorelich offers a lot to the community by supporting young musicians. In 1986 he established a foundation in Croatia to raise funds for scholarships for young artists to further their studies abroad. At the german spa town of Bad Wörishofen, Ivo Pogorelich created a festival, which went on for a decade, with the aim of supporting promising young musicians at the very beginning of their careers by giving them the opportunity of performing in company with their wellknown colleagues. In 1993 the Ivo Pogorelich Piano Competition was held in the californian city of Pasadena. A bianual performance is offered in the city of Lugano, where Ivo Pogorelich lives, with the aim of promoting and helping young musicians. In 1994, the pianist set up a foundation in Sarajevo to raise money to rebuild a maternity hospital in the city. Ivo Pogorelich gives charity concerts in support of, for example the Red Cross or the fight against illnesses, such as cancer and multiple sclerosis, among other projects. One of such is to offer his advise to young artists by occasionally giving masterclasses. In 1987 he received the honour of being named an “Ambassador of Goodwill” by UNESCO.